Overlooking the site of the first naval victory of the American Revolution, Liberty Hall Maine in Machiasport, Maine is one of America's most significant historical monuments. 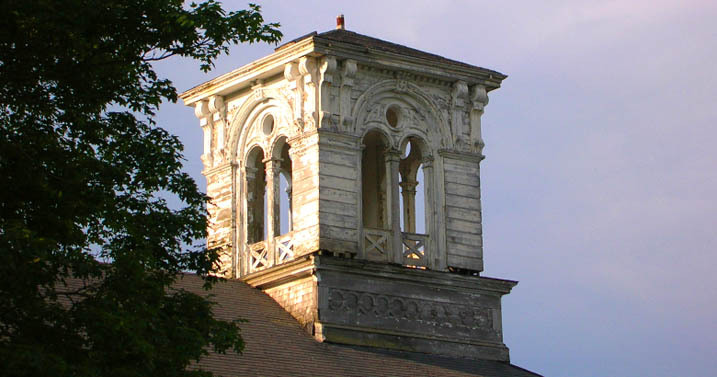 It is also one of Maine's most distinguished examples of civic architecture. A remarkably successful public-private partnership rescued this building in the face of its imminent demise. But much more needs to be done. The mission of the Campaign to Save Liberty Hall is to complete the restoration of this inspiring and irreplaceable landmark, and make it the center of community life once again.